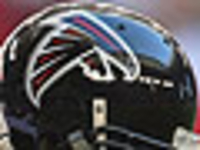 Visit the Atlanta Falcons' official website for your daily fix of team information. The Falcons announced Monday that DT Grady Jarrett has signed the franchise tag. He will play the 2019 season on a one-year deal for $15.2 million if the two sides don't agree to a long-term deal by July 15. The Atlanta Falcons are giving Ra'Shede Hageman a second chance. The team announced on Friday that the defensive lineman signed a one-year contract. Atlanta Falcons tight end Austin Hooper says he will work with quarterback Matt Ryan following OTAs as they adjust to a new offensive scheme this offseason. The Falcons agreed to terms with former Saints defensive tackle Tyeler Davison on a one-year contract. The addition comes on the heels of Atlanta bringing back defensive end Adrian Clayborn. The Atlanta Falcons signed defensive end Adrian Clayborn to a one-year contract, the team announced. Clayborn's deal is worth up to $4 million, per Tom Pelissero. Tyeler Davison, who spent the past four seasons with the New Orleans Saints, is scheduled to visit the Atlanta Falcons, NFL Network Insider Ian Rapoport reported on Monday. Atlanta Falcons wide receiver Julio Jones still wants a new contract heading into the upcoming 2019 season. Jones said he doesn't care about being the highest-paid WR in the NFL. Atlanta Falcons owner Arthur Blank gave an update on extending the contract of star wideout Julio Jones and hashing out a new deal with DT Grady Jarrett. With other star wide receivers getting pay raises elsewhere, Atlanta Falcons GM Thomas Dimitroff revealed he wasn't concerned about getting a contract extension done with Julio Jones. The NFL announced Tuesday that the Denver Broncos and Atlanta Falcons will face off in the annual Hall of Fame Game in Canton, Ohio to kickoff the 2019 preseason. The Falcons added Dirk Koetter as offensive coordinator following his departure from the Bucs. Koetter says he's counting on his familiarity with QB Matt Ryan to help turn around the Falcons. The Falcons announced Monday that they hired former Chiefs defensive coordinator Bob Sutton as a senior assistant. Sutton was relieved by Kansas City in the wake of its AFC title game loss to the Patriots. The veteran housecleaning in Atlanta continued on Thursday. Two days after cutting Robert Alford and one sleep after letting Matt Bryant walk, the Falcons released defensive end Brooks Reed. On Wednesday via Twitter, kicker Matt Bryant wrote that he has been released by the Falcons, though the 43-year-old veteran intends to keep on playing. 4/22 J.J. Wilcox (DB) Unrestricted Free Agent Signing (unrestricted free agent signing). 4/16 John Wetzel (OG) Free Agent Signing (free agent signing). 4/16 Chris Odom (DE) Free Agent Signing (free agent signing). 4/15 Tyeler Davison (DT) Unrestricted Free Agent Signing (unrestricted free agent signing). Pro Career: Dan Quinn was named head coach of the Atlanta Falcons on Feb. 2, 2015, becoming the 16th head coach in Atlanta Falcons history and takes over the club after serving as the Seattle Seahawks defensive coordinator for the last two seasons (2013-14). During that span, Quinn oversaw the NFL's top defensive unit as Seattle led the League allowing 270.4 yards per game, 15.2 points per game, and 178.8 passing yards per game while holding opponents to 91.6 rushing yards per game. In 2014, Quinn's defense led the NFL in scoring defense (15.9), total defense (267.1), and passing yards (185.6), while ranking third in rushing yards (81.5). The Seahawks also boasted the League's top defensive unit in 2013, en route to a win over the Denver Broncos in Super Bowl XLVIII. Quinn originally joined the Seahawks in 2009, after spending the previous six years coaching the defensive lines for the San Francisco 49ers (2003-04), Miami Dolphins (2005-06) and the New York Jets (2007-08). He previously served as the Seahawks assistant head coach/defensive line coach in 2009. Quinn left Seattle in 2011 to become the defensive coordinator at the University of Florida where his defenses ranked in the top-10 in the country. In his first season with the Gators, his defense ranked eighth nationally in total defense (299.5), seventh in passing defense (166.8), and second in third-down defense (27.12 percent). Prior to joining Seattle, Quinn coached the defensive line for the New York Jets from 2007-2008. In, 2008 the Jets defense ranked fifth in the NFL in yards per carry (3.7), seventh in sacks (41), and ninth in rushing yards per game (94.9). The Jets were also sixth in the AFC in yards per play (5.2) and third-down defense (38.6). He held the same position for the Miami Dolphins for two seasons (2005-06), where Quinn helped the Dolphins rank first in the AFC and second in the NFL with 49 sacks. Miami also finished third in the AFC in yards per play (4.7) and fourth in yards per carry (3.7). He began his NFL coaching career in San Francisco as its defensive assistant in 2001 before moving on to coach the 49ers defensive line from 2003-2004. Quinn got his start coaching the defensive line at William and Mary in 1994, followed by a season at Virginia Military Institute. He held the same position with Hofstra for four seasons before being promoted to defensive coordinator in 2000. Background: Quinn was a four-year letter winner and two-time co-captain at Division III Salisbury (Md.) State as a defensive lineman, where he recorded 139 tackles and eight tackles for loss. He also lettered in track and held the school record in the hammer throw. He was inducted into the Salisbury State Athletic Hall of Fame in 2005. Quinn was born in Morristown, New Jersey.